There were rumblings this week Studio Ghibli’s animation machine could be back and whirling in action after a minor hiatus. The company’s creative genius Hayao Miyazaki may have retired, but Studio Ghibli showed its world class with the Tale of Princess Kaguya in 2013. If they want any further inspiration, they need only look back to Princess Mononoke from 1997, a sweeping masterpiece of the highest order. Thusly, on this merry Sunday we’re taking a look at what we consider to be one of the best films of all time. It’s certainly one of the best animated films ever (Studio Ghibli use traditional hand-drawn animation to this day) and features complex themes such as war, environmentalism, alienation, honour, courage, and the nature of the human spirit. Simply put, it’s a film you must watch. Japanese animation took a while to catch on in the West, but in 1997 Princess Mononoke triggered off a craze which would led to Studio Ghibli’s preceding effort, Spirited Away, winning an Oscar in 2003. 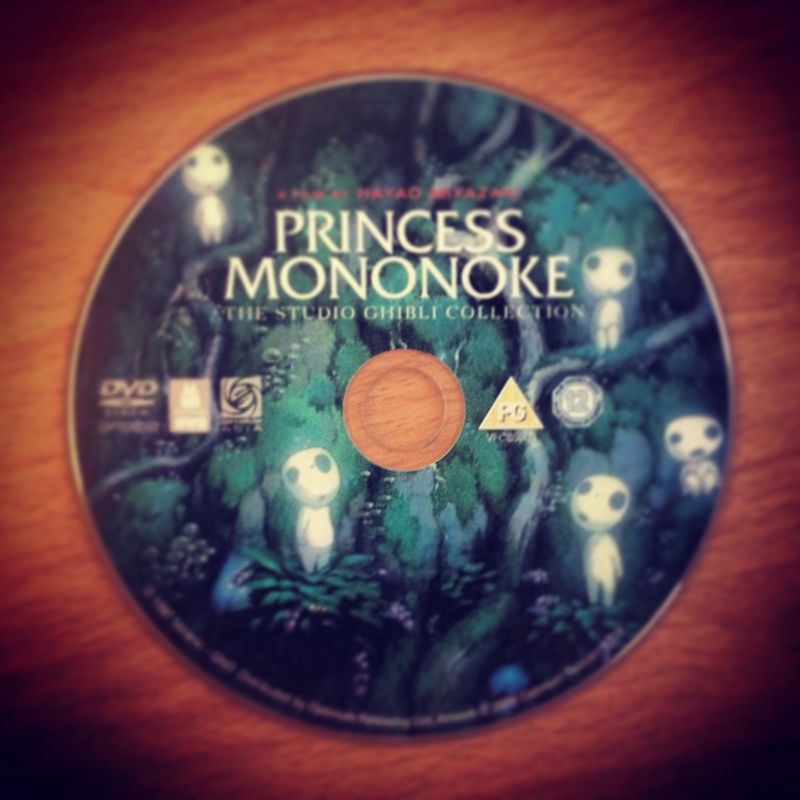 Princess Mononoke is the better film, in our opinion. The plot takes a look at young warrior Ashitaka who is wounded after his village faces the rampages of a diseased, giant pig. In defeating the beast, he faces a curse that will eventually kill him. Accepting his fate, he nonetheless sets out from his home village to seek a cure. Eventually, he comes across a manufacturing site which is under attack from divine powers – deities such as enormous war hogs and wolf gods, the latter of which have a feral woman called San in their number. San is determined to end the destructive industrial action which is destroying the landscape. Despite resisting Ashitaka’s advances for friendship, the two eventually form an unusual, but deeply human, bond. It’s a sweeping masterpiece and culturally highly important. We recommend it as vital viewing for all ages – older children will find its mix of fantastical images, pulse-pounding plot devices, soundtrack, excellent voice acting, and dark themes particularly compelling. Princess Mononoke stands as a fine example as to why animation isn’t “just for kids”. This is grown up time with difficult concepts and harsh realities laid bare for all to comprehend. One of the most striking features of Princess Mononoke are the kodama (木霊 or 木魂 – not being able to read Japanese either one doesn’t make any sense) who feature throughout. In Princess Mononoke they’re represented by stoic, mute little white dudes who communicate by clicking their heads. It’s one of those small yet almighty touches which Studio Ghibli sprinkle onto their films to turn them into magical experiences. Indeed, watch the film and you’ll want to own a kodama. Tough, they don’t exist! You’ll have to buy a hamster instead. We once read a review of this film saying the soundtrack was poor. What?! We’d like to redress this matter right here by saying the soundtrack is quite fantastic. If anything it’s a little unusual in how its structured, but it’s nonetheless a fine piece of work and inspired. We’ll mention the animation alongside this as it’s one of the most memorable and spectacular films in Studio Ghibli’s canon, and that’s saying something. Hand drawn, it’s really the pinnacle of its art and after almost 20 years it looks incredible. Whether it’s the spooky but adorable kodama doing their thing, the raging battle scenes, the background scenery, or the character animation, it’s Studio Ghibli on top form and its one heck of an achievement. Despite missing out on any Oscars, this is Studio Ghibli’s resounding masterpiece – in our opinion, anyway. Love for the film remains strong. Just check out the 8 bit retro gaming homage above. Next Exclusive Recipe: Tapas – Now With More Taps! I’ve loved Japanese animation since Marine Boy. Hmmm, I do believe I’ve just outed myself as a Chronologically Challenged person…. I reckon what you’ve f’ t’ got t’remember is we’re all fairly new to this Japanese animation stuff in the West. We’re all a bit Chronologically Challenged. Innit. Aiiiiiiiie!